On 9-12 December 2013, PRI and the Penal Reform and Justice Association (PRAJA) ran a training of trainers workshop (ToT) on human rights and prison management for Indian Prison Officials. Twenty prison managers from India’s eastern states – Jharkhand, Mizoram and West Bengal – took part in the four-day course on human rights and prison management, which was led by Dr Riaz Ahmed, Director of the Academy of Prisons and Correctional Administration in Vellore, Dr Rani Shankardass, Secretary General of PRAJA, and John Podmore, PRI Associate, and supported by Nikhil Roy and Becky Randel from PRI. Over the four days the training covered international standards and norms, principles of prison management, physical, procedural and dynamic security, ways to reduce pre-trial detention, healthcare in prisons, oversight of detention facilities, treatment of vulnerable groups and reintegration as well as discussing some new and emerging issues. This training was part of a project, supported by the UK Foreign and Commonwealth Office (FCO), working with prison service training institutions in India to train prison officials on human rights and prison management in order to improve the conditions and treatment of prisoners. The training was hosted by the Regional Institute of Correctional Administration (RICA) Kolkata – the prison service training centre for eastern India – and supported by the FCO and the Bureau of Police Research and Development in Delhi. 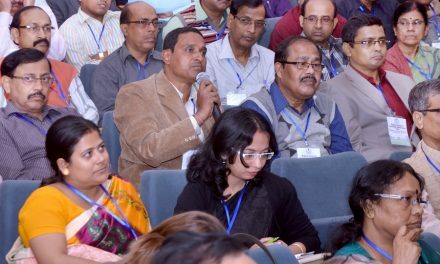 After the training course on 13 December, training participants were joined by members of the judiciary, government representatives, civil society and academics for a seminar at the Saha Institute of Nuclear Physics in Salt Lake, Kolkata. The day was split into three sessions: a panel discussion on alternatives to imprisonment, a panel discussion on professionalising the prison service and finally, a plenary discussion on priorities for prison reform in India.